The Taj Mahal was built as a mausoleum for the Emperor Shah Jahan’s wife. It was located on the opposite bank of the Yamuna River from the Emperor’s Royal Palace in Agra. 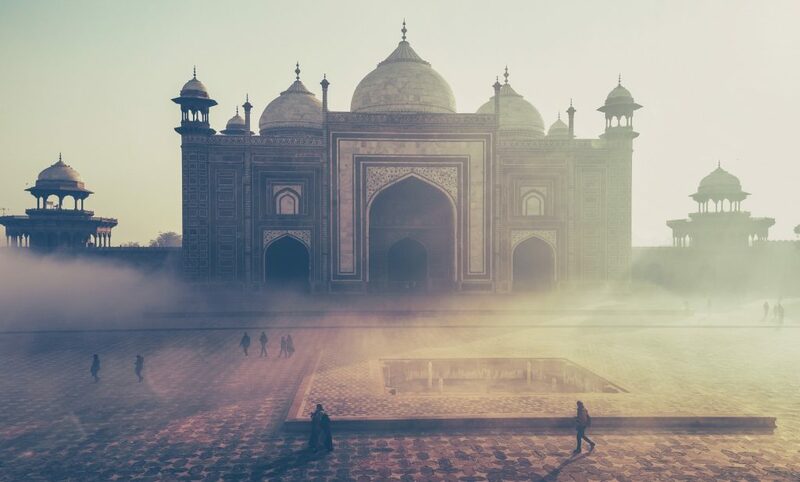 In order to ensure that the Taj Mahal would be unique, it is said that the Emperor Shah Jahan had the hands of the architect and the workers cut off so they could never replicate the ornate structure. It took over twenty years to complete the construction. The 20,000 workers used for the project were not only sourced from India but were also brought from Persia, Europe and the Ottoman Empire. Roughly 1000 elephants were also used in its construction. After the mid 18th Century, the Mughal power waned and the Taj Mahal was woefully neglected. Close to the dawn of the 19th century, the British viceroy of India, Lord Curzon, took action to preserve the Taj Mahal; thereby keeping the wonderful structure available for visitors for decades to come.